What Is The Best Age To Start Setting Your Goals? This is a guest article contributed by Jessica Barrett from www.wizessay.com. It’s not easy to sit down and contemplate about your life goals. As the matter of fact, most people are scared of asking themselves the basic questions concerning their future. Putting things into long-term perspective demands experience and willpower. But no matter how well-experienced or determined you might be, there are no guarantees that you’ll choose the right goals. You need to be wise enough to respect your feelings, values, and life vision. But what exactly is the perfect age to start setting your goals? This issue is rather complex so I’ll try to give you a hint in this article. You can’t decide about your goals just like that. It takes a serious preparation, analysis, and strategic thinking to create the plan that suits you perfectly. Therefore, I will divide the entire process into several sections to make it more logical and easier to comprehend. Planning is the first part of this process. In order to develop the plan, you should make the list of values that you’ll always respect and nurture through life. These values depend on your character, personality, and ambition. Take it all into account and make sure that every goal you set correlates with your personal beliefs. Values will make a cornerstone of the goal-setting procedure as everything you do needs to be aligned with them. If you don’t respect a specific set of values, you’ll wake up one day realizing that you wasted time chasing wrong goals. Secondly, you need to be honest and think about things that make you truly satisfied. Brainstorming is usually the best model in this case – give yourself around 30 minutes of time to go through everything you consider important in your life. Write it all down on the whiteboard and you’ll have a convenient starting point. Once you figure out which things suit your values the most, you’ll be on the right track to set the appropriate goals. There is one more addition to this process. Though it is always best to listen to your heart and believe in your estimations, sometimes it helps to look yourself through the eyes of other people. It means that you should think about what other persons would say about you and would you like their comments. If yes, you will probably have an easier way to determining and achieving your goals. But if you wouldn’t enjoy their opinions about you, it’s probably time to take some action and change. After you have it all completed, there is more than enough material to start thinking about concrete life goals. Planning is not the end of the road, of course, but it will take you one big step forward in this process. There are dozens, or even hundreds, of goals that you can go after in your life. However, some of the biggest personal dreams and achievements can be divided into two big categories – family and career. A vast majority of topics that interest people fall under these two sections, so we’ll go through each one separately. People are social beings and their biggest fear is to end up old and alone. Therefore, one of the goals that most individuals are trying to achieve is to get married and raise a family. But this is a rather broad concept, so you should try to narrow it down a little. You need to find a soulmate, that’s obvious. But there are so many other big decisions to make as you move on. For instance, you can live without kids for a while or choose to start a family as soon as possible. You and your partner also need to agree on the number of kids you want to raise. Then, you could decide to buy a car or a cozy family house, etc. There are so many specific objectives that you can choose while thinking about the family. Your professional development is almost as important as family life. You need to set the goals carefully, respecting your academic background and ambition. Many people are happy with an average career and don’t bother too much with professional status. Therefore, a potential goal is to find a stable job with an average income. On the other hand, there are so many individuals who consider professional success one of the crucial elements of happy life. In this case, you should set a number of smaller achievements that can lead you to the last big goal. For instance, if you are a marketing assistant at the moment, you may wish to become head of the department. After that, you could aim at senior positions within the sales team, and eventually go for the CEO role. There is also a third option and probably the one that most people dream of: searching for the perfect life-work balance. It’s not easy to reach this position but it could as well be the best goal to target. If you adjust both the private and professional goals to fit each other, you can find the harmony in life. Now that you have determined all goals, it’s time to think about scheduling and creating the best time frame to fulfill tasks successfully. Some goals require more time than others but it’s important to plan the periods of realization. 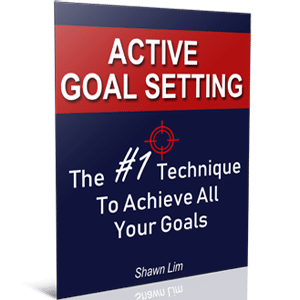 In general, you can set three sorts of goals. This type of goal is very concrete and easy to understand. Let’s say your goal is to save $3,000. It’s easy to divide this amount into smaller parts and save $500 each month. In that case, you will reach your goal in six months – simple as that. Mid-term goals will probably take you 2 to 4 years to complete. As always, the best way to handle such goals is to take them gradually and work in smaller increments. For example, you might want to move from the position of marketing manager to one of the senior executive roles in the company. Of course, we are talking about large organizations with hundreds or even thousands of employees. If you are 3 steps away from this position in the hierarchy, you will most likely need 3 or 4 years of hard work and excellent results to fulfill the goal. You cannot jump over 3 bars at the same time, so you’ll have to take it step by step and advance from one position to another each year or so. If you have any long-term goals, it will take you at least 5 years to handle them. Keep in mind that you can have a few short- or even mid-term goals at the same time, but one long-term goal is the maximum if you want to do it properly. You may want to raise a big family, obtain one more diploma, or start your own business. All these tasks demand time and devotion. Try to visualize the final goal and always keep it in mind while having a hard time. When is the perfect time to set goals? No one can make a universal rule that applies to every single person in the world. However, there are some general recommendations common to all people. When you are young, you have a lot of energy but it’s difficult to make big decisions because you don’t have enough experience. On the other hand, it’s not realistic to dream of huge life achievements when you have already passed your prime time. In this case, the best thing is to target the period of life when you have accumulated some experience but still preserved enough strength and passion for entering completely new endeavors. In my opinion, this period of life happens in your late 20s and early 30s. By that time, you have probably earned a college degree and don’t have formal obstacles to make further progress in your career. At the same time, you are mature enough to know what sort of people suits you the best and who can be your lifelong partner. All those years of friendships and relationships allow you to draw conclusions and set important personal goals. If you are 30 or so, you most likely have a few internships and jobs in your resume. You created a network of professional contacts, gathered enough experience in business, and gained many practical skills. That’s already a solid cornerstone to start thinking about bigger things in your career. Setting goals in life don’t just happen. It’s the product of days and weeks of thinking and preparation. You can do it anytime you want, no argue about that. But there is a period in life when people have the best chance to choose correctly. It’s the time of life when you feel the synergy of experience, willpower, knowledge, and practical creativity. This time comes around the age of 30, so make sure to use it wisely and set the most appropriate goals in life. Jessica Barrett is an experienced writer and the career development advisor at www.wizessay.com. With her broad education and professional writing, she assists students in all fields of expertise to write high-quality essays or dissertations on time. A mother of two young boys, Jessica is the master of multitasking and time management. Super helpful!!!! Thanks for the advice.